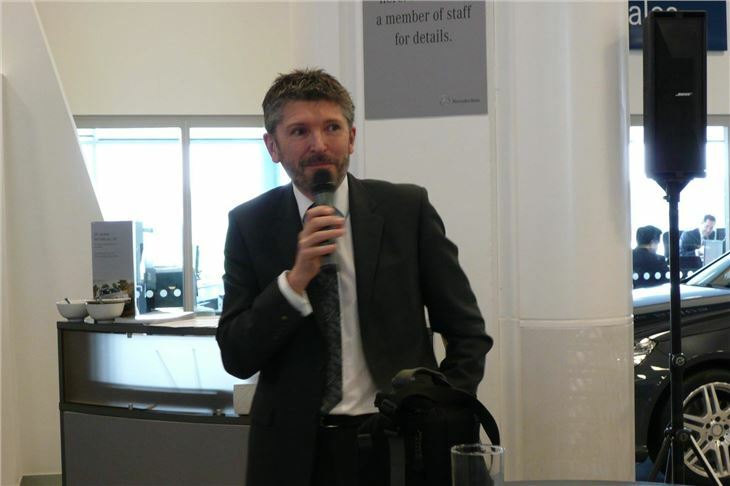 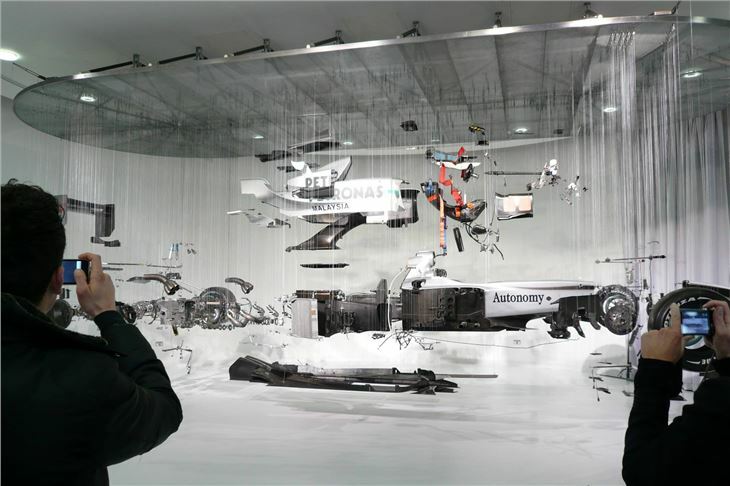 Nick Fry, CEO of the Mercedes Benz Petronas F1 team today unveiled an extraordinary susended sculpture of Mercedes Benz World. 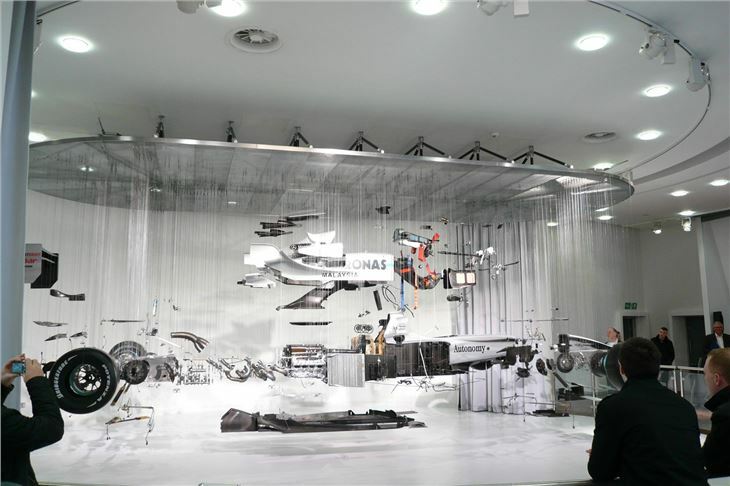 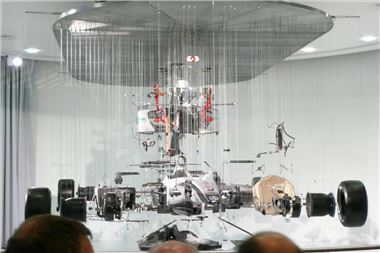 The exhibit, by Dutch artist Paul Veroude, is called 'Suspended II and comprises 3,200 separate components of a Merceded Benz Petronas F1 car susoensed on thin wires from the ceiling. Each Mercedes Benz Petronas F1 car involves 90,000 man hours of design time, 200,000 man hours of manufacturing time, and comprises carbon fibre, plus titanium, aluminium and magnesium. 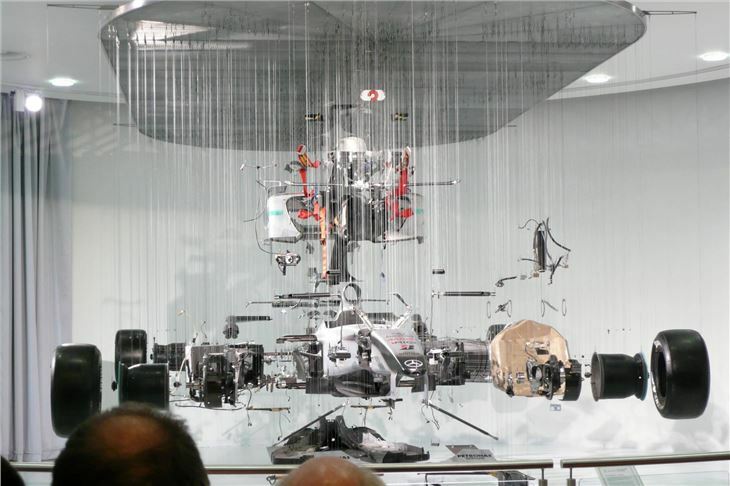 The construction is 85% carbon fibre and weighs just 600 kilogrammes. 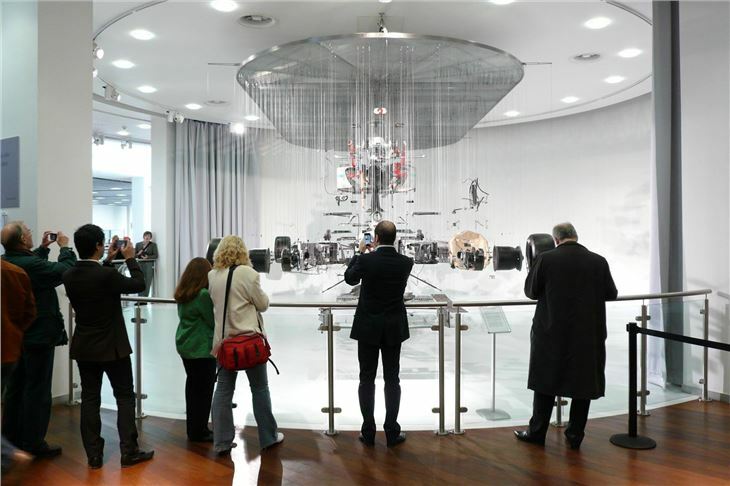 As well as 'Suspended II' visitors to MB World on Grand Prix Sundays can watch the European (UK timescale) races live on huge high definition screens completely free of charge.